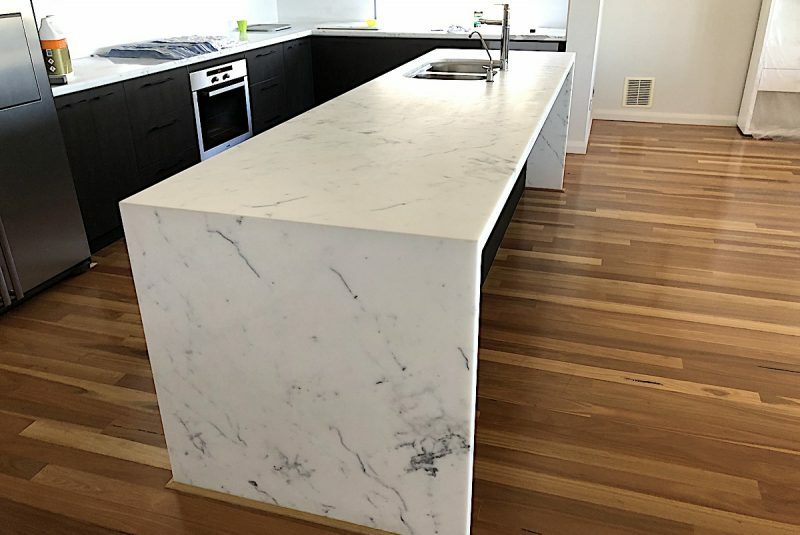 Marble Floor & Benchtop Restoration Services. With over 15 years’ experience in restoring Natural Stone flooring and other surfaces, the team here at Infinity Flooring can hone, grind and polish your marble floors and benchtops to bring them back to looking as good as new! If you are needing a marble floor polishing contractor that’s professional, fast and affordable, get in touch today for an obligation free discussion. The expert team at Infinity Flooring, are commercial and residential Marble Floor & Benchtop Cleaning, Grinding, Honing and Polishing Contractors. Our expert team offer a variety of solutions soothing your damaged aesthetic and unwanted marble floor blemishes with a range of top-quality treatments. We offer bespoke natural stone cleaning services perfectly tailored to each individual, guaranteeing you an exceptional service which can solve your marble flooring woes. Our marble floor polishing, grinding and restoration service can totally transform the look of your marble, returning its natural lustre and sheen. Designed to remove scratches, marks and signs of wear, marble floor honing removes the top layer off your marble, revealing a fresh, polished surface. Once buffed, this creates a flawless finish. Does sweeping and polishing seem to make no difference to the quality of your floor? Are there unsightly ridges caused by grout which threaten to ruin the fluid perfection? If this is the case, marble floor grinding could be the solution. This process flattens the floor to the level of the grout lines, making cleaning your marble floors a dream. Sometimes your marble floor just needs a chance to let its natural beauty shine through. The expert team of technicians of Infinity Flooring can carefully choose, apply and buff the correct compound and polish, to recreate the natural shine, creating a long-lasting effect. Environments can be harsh, and so even after a natural stone floor polish, it is best to take precautions. Marble Floor Sealing offers a barrier against environmental damage such as cleaners, dirt and stains, and makes cleaning an easier process. This is especially important for marble. Before treating your floor in any way, it is important to start with a thorough deep clean and stain removal. This allows any further treatments to occur on a blank surface, giving them an opportunity to provide full impact. A deep clean can also be an ideal way to freshen up the surface between treatments. Spotting and addressing repairs early on could save you time, money, and effort in the long run. It is important to catch any issues such as cracks or chips before they have a chance to develop. Not only do they spoil the look of your floor, but they can also cause further damage. The last thing you want is to feel that your freshly-treated tiles are let down by grubby grout. Grout restoration provides a facelift, offering a new, fresh, and clean feel easily, as well as helping to preserve and extend the life of the grout.